March 20, FREE CONE DAY! 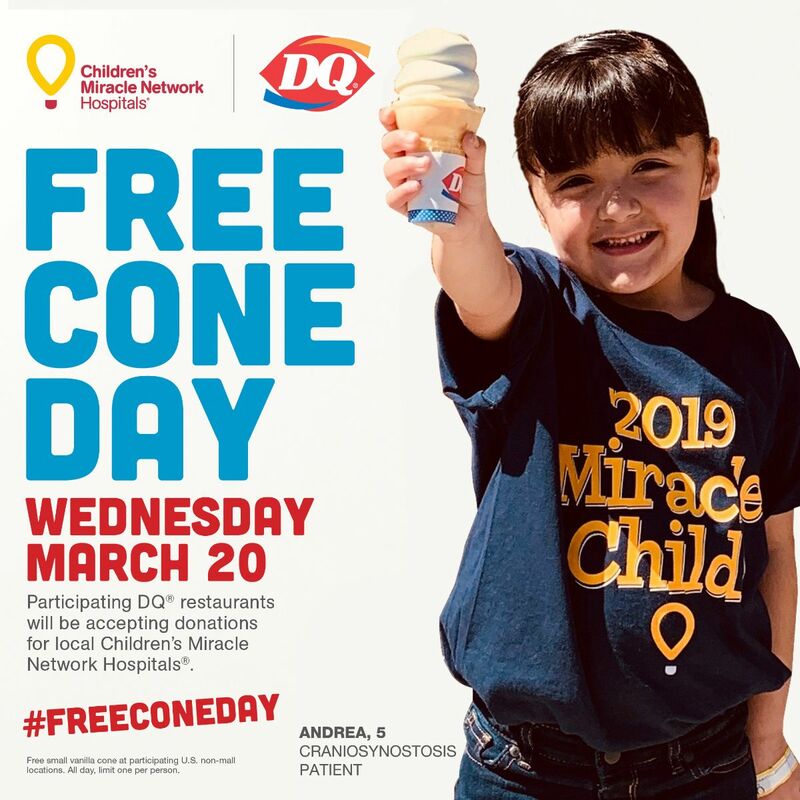 In celebration of Children’s Hospital Week along with First Day of Spring, Dairy Queen will be giving free cones on Wednesday March 20. Make sure to stop by at any participating location. Which will be accepting donations for local Children’s Miracle Network Hospital, like El Paso Children’s Hospital. Stop by and Make it a Dipped Cone with a $1 Donation! Next post: Kendra Scott brings big smiles to our Children’s Hospital.